The MEDEA Awards team have re-launched the MEDEA website for this year’s competition with a closing date of 31 July. This site includes a media gallery with best-practice showcases including interviews with the 2009 award winners, finalists and participants in the Highly Commended category. 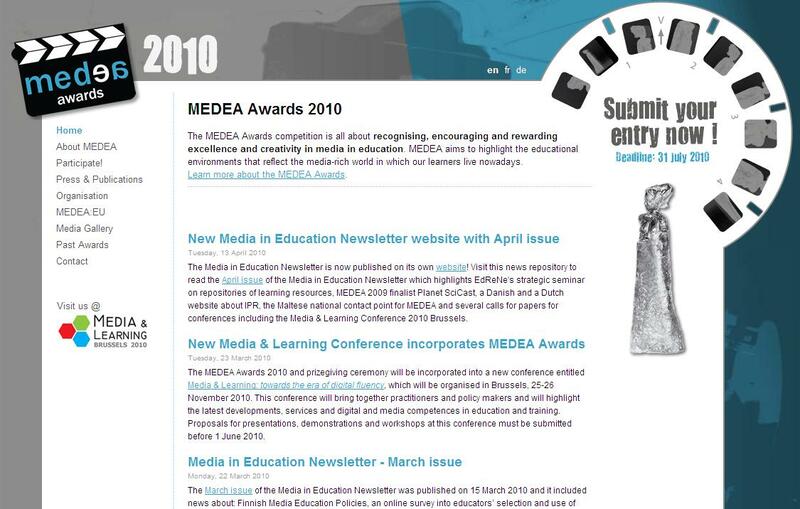 The MEDEA team has also launched a MEDEA YouTube Channel which contains excerpts from 2009 winners and interviews with the representatives of Know IT All for Primary Schools, Daisy and Drago, Traditions across Europe, Eyes on the Skies, Planet SciCast, INgeBEELD and Neu in Berlin. Members of the EUscreen consortium took part in former editions of the MEDEA awards as jury members.